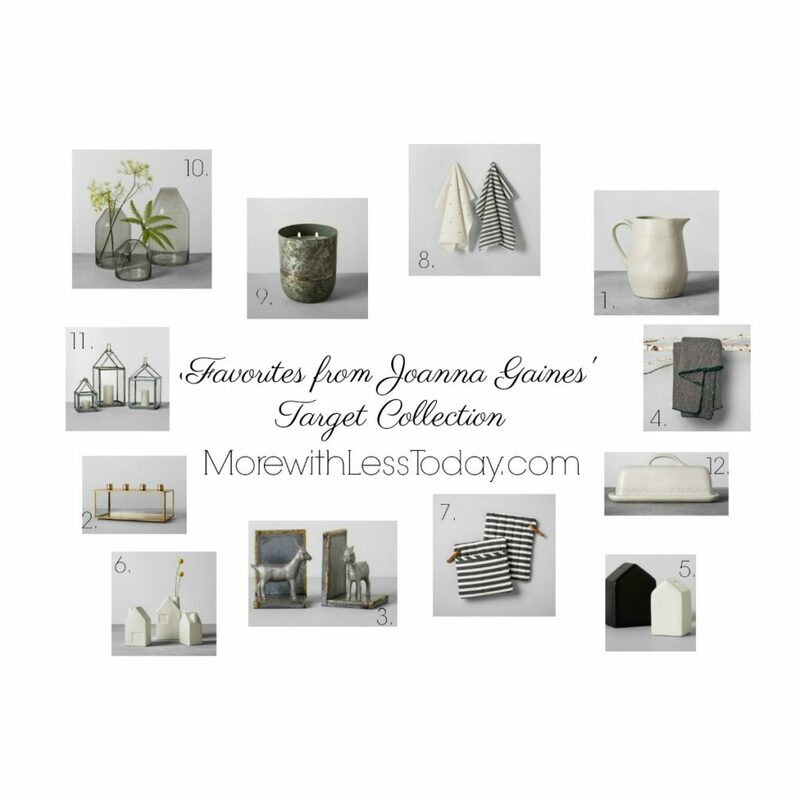 For fixer upper fans, here is our favorite home decor from the Joanna Gaines’ Hearth & Hand™ with Magnolia found online and in stores at Target. 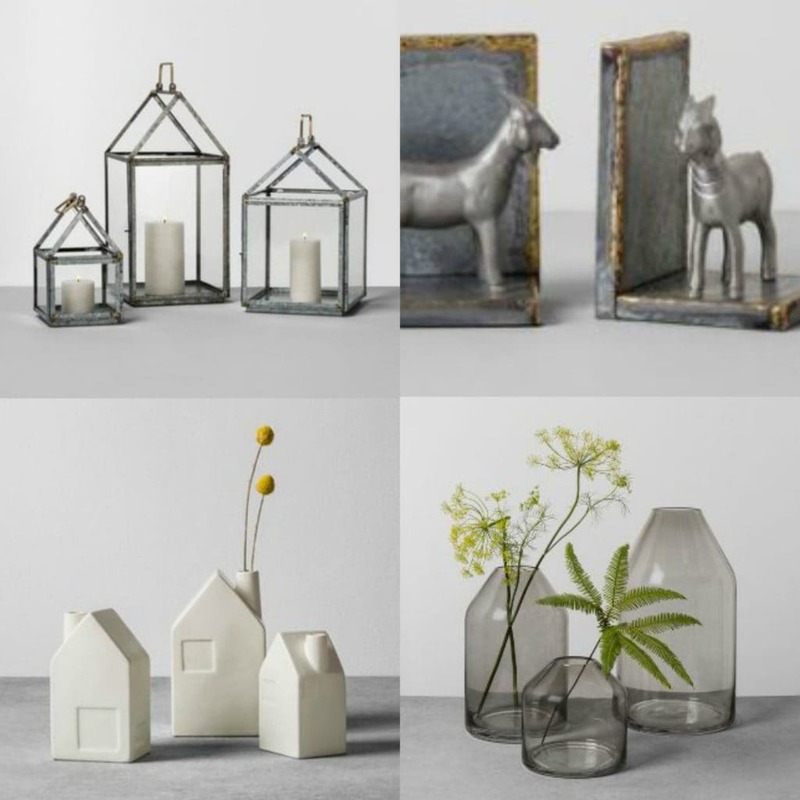 As we transition from one season into the next, these pieces are timeless and versatile and mix easily with most decor. 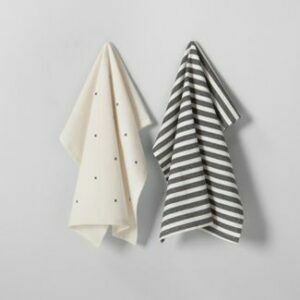 Try adding one or two pieces to update your home decor. I look forward to seeing more from this line soon! Prices and availability were checked at the time of purchase but we all know prices go up and down quickly and items can go out of stock. We have affiliate relationships which means we may get a small commission at no additional cost to you if you shop through our links. 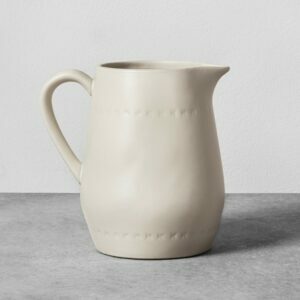 Simple but elegant this pitcher brings a timeless beauty to your kitchen. 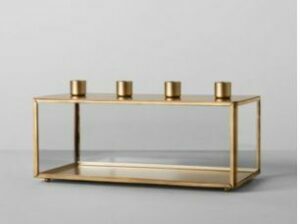 This elegant candle box holds 4 taper candles. You can fill the glass box with decorations to match the season such as pine and poinsettias at Christmas or hearts on Valentine’s Day. These are adorable and bring back thoughts of a gentler, farming era. Rustic but classic at the same time. 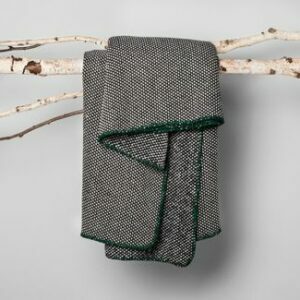 Snuggle up under this cozy throw blanket that goes with any decor. A nice accent in almost any room in the house. 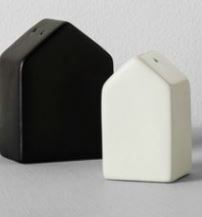 Primitive and modern, these shakers are an inexpensive way to update your decor. 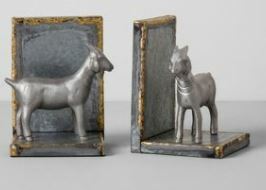 Another beautiful accent piece to go along with the simplistic, modern look the other pieces bring to the group. 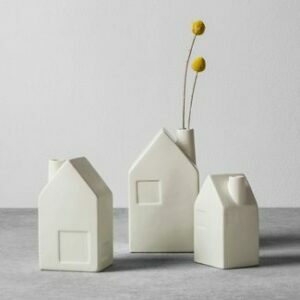 White is a neutral accent that blends well with any decor. Practical but homey and inexpensive as well. 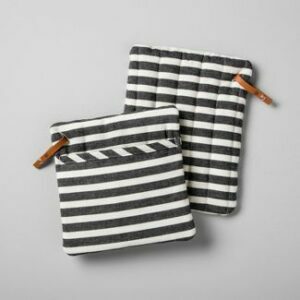 You can’t go wrong with this choice of potholders. Black and white in a kitchen is a sleek, modern look that can spill over into the rustic as well. These add a nice touch. 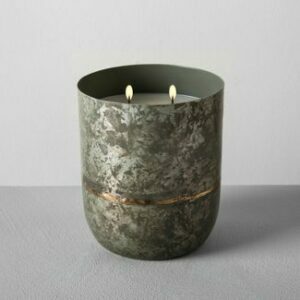 Add a homespun, colonial touch with this lovely candle. Keep several on hand for when the power goes out or for a romantic touch anytime. 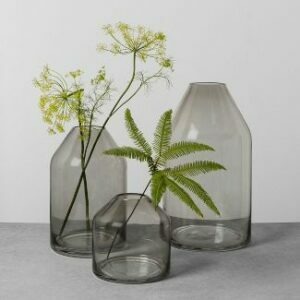 Your flowers will look lovely in this smoke glass jug vase. You can choose from several sizes. 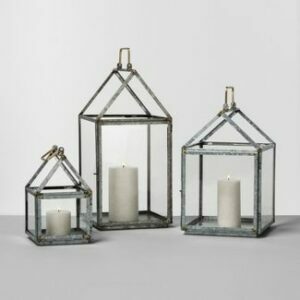 Three sizes to chose from or buy all three for a unique centerpiece arrangement. Accent with different color candles and flowers for a stunning arrangement. 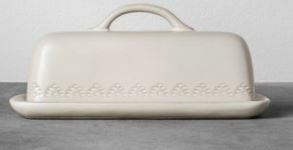 This butter dish is one piece in a line of lovely items for your table. Savings tip – If you have a Target REDCard, you can save even more. I prefer the Target REDCard debit card (not the credit card). It works just like writing a check from your existing checking account. There is no annual fee, no cost or interest charges. You get 5% off all purchases, free shipping with no minimum purchase and an extended time for refunds. You save 5% automatically without any coupons or effort. If you see a great deal online at Target.com, you can save an additional 5% and get free shipping without having to pad your bill! For more Target savings hacks, check out this post.